Softaculous Premium integrates with CPanel™ and gives our clients the ability to automatically install 275* of the best Open Source Applications directly into your web hosting space with just a few clicks! 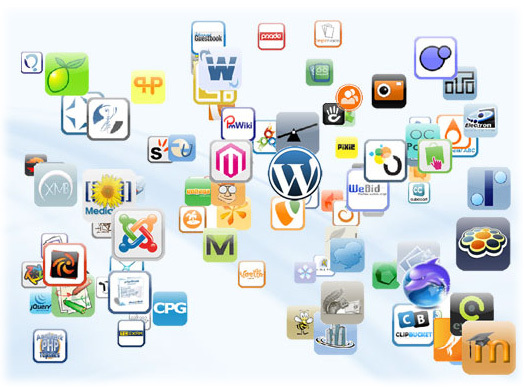 These apps include Blogs, Shopping Carts (Ecommerce), Content Management Systems (CMS), plus loads more. Now even website beginners can take full advantage of powerful open source software for their website. Softaculous Premium is available FREE to people on our Starter, Silver, Gold, and Platinum CPanel Web Plans. Softaculous Premium is NOT available on our UN-METERED Web Plans, which uses a different Control Panel. If you are joining our UN-METERED Web Plans, you can install the software that is included in Softaculous Premium, by Googling the name of the software title above, which will take you directly to the developers website. You can then download the software directly from the developers website, and install the software into your hosting space manually. You don't need to have Softaculous Premium included with your web hosting plan, to install the scripts above, as most of the are open source scripts, and are free for anyone to install. 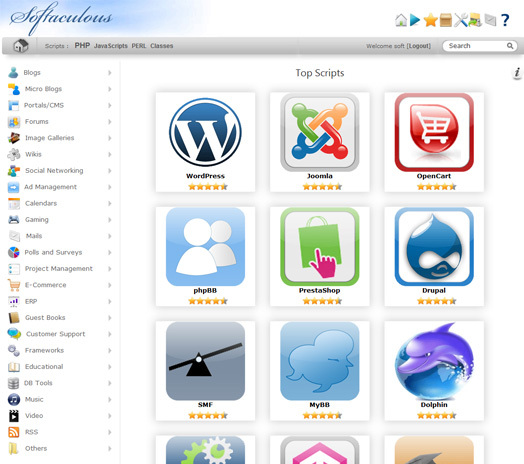 Softaculous Premium just makes installation of these scripts easier and faster. The beauty of Softaculous Premium, is that it allows people to install and try out Open Source software, by automatically installing it in Softaculous Premium with just a few clicks. Essentially it makes the installation faster. However due to the complexity of some open source software and it being constantly modified, and the configuration of the software to different configurations of server, bugs can occur during the installation process. Therefore we recommend that clients only use Softaculous Premium installed software, to try it out, and to see if the software meets your requirements. We don't recommend clients use a Softaculous Premium installed application for production websites, although in many cases it may be fine. For production websites, we would recommend that you manually download the software from the developers website, and install it manually using FTP. The developers of the software should have easy to follow instructions showing how to do this. The software choice within Softaculous Premium may be altered at anytime. This means that new software could be added, or old software could be removed from Softaculous Premium at anytime. Old software is usually only removed if it is found to create a security risk for the server. Removal of software from Softaculous Premium will only affect the auto installation of the software, and won't affect the software on your website if you have previously installed it from Softaculous Premium into your hosting space. However if you have outdated or unpatched software that you have installed in your hosting space, that may create a security risk for the server, are you are required to update it.